The WordPress market has never been better real estate professionals. There are plenty of real estate professionals that hesitate a bit before taking their business online. After all, the cost of having a real estate website designed can be prohibitive for those who are just getting started as a real estate agent. That’s where real estate themes such as deCondo come in to play. They make it easy to take your real estate business online and generate more leads for your venture without breaking the bank. The theme is designed to make life easy for you and your visitors. 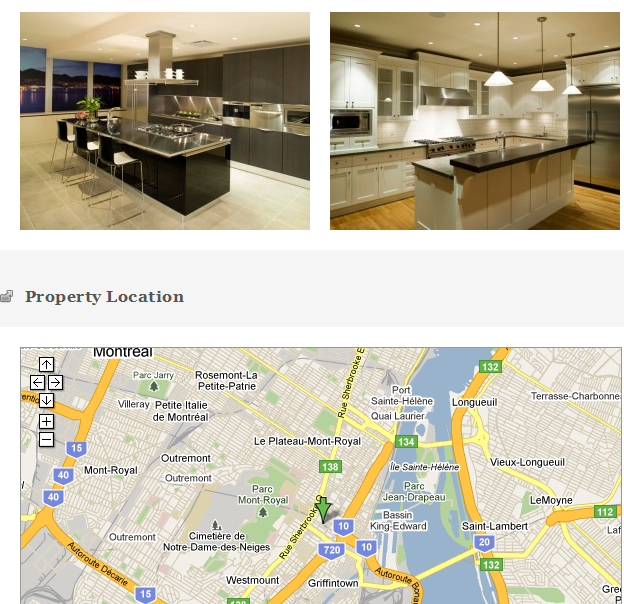 It comes with a very powerful featured section that you can use to showcase the best properties that you have under listing. 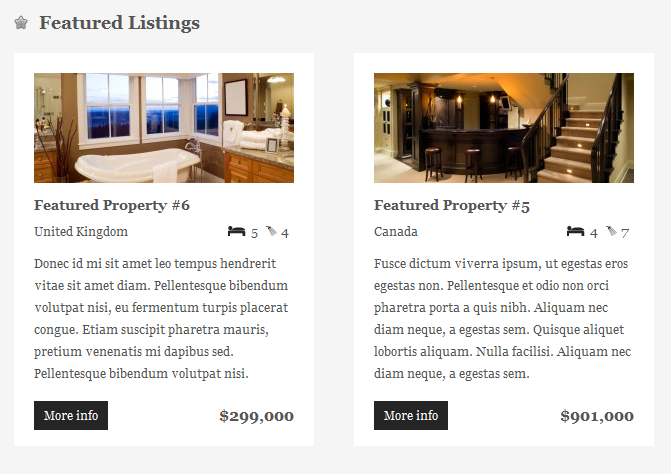 Your visitors can also use the embedded search functionality to search through your listings by price, region or type. The option page allows you to easily customize your featured section and select the categories that you want to be displayed there. You also get more listings displayed under the main featured section. The theme is image friendly, so you are not going to have too much trouble adding your images and uploading your listings to your website. The theme comes with image gallery feature and map integration. So your visitors can get a good feeling about the properties you have listed on your website and their location. 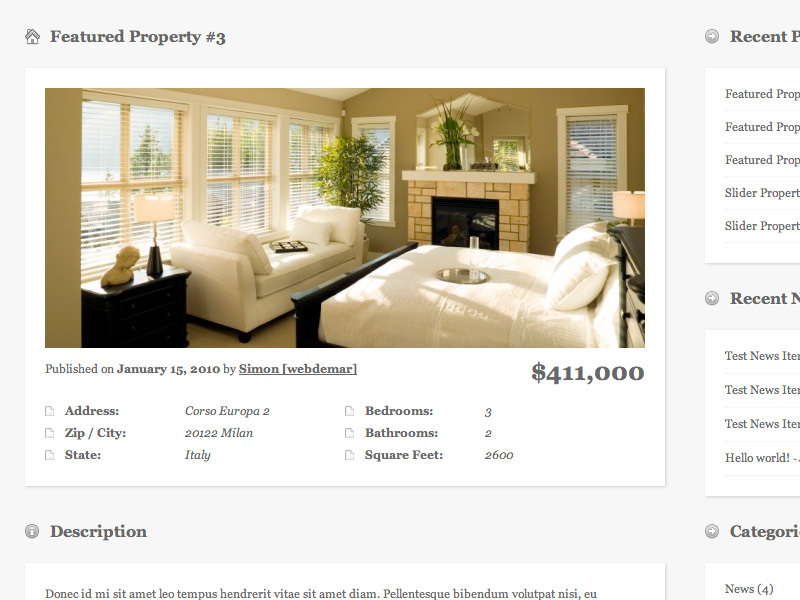 The Expose’ feature makes it even more easier for your visitors to find out information about your listed properties. This theme is not only attractive, but it makes it easy for you to customize it without having to change the code. You can change a lot of things from the back-end and is image friendly as well. The property search functionality is a great addition as well. 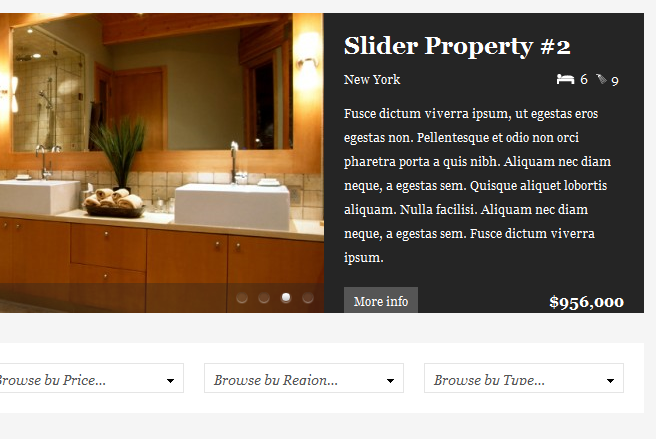 Overall, a great theme to get started with your real estate website.